existed within New Mexico at one time or another. 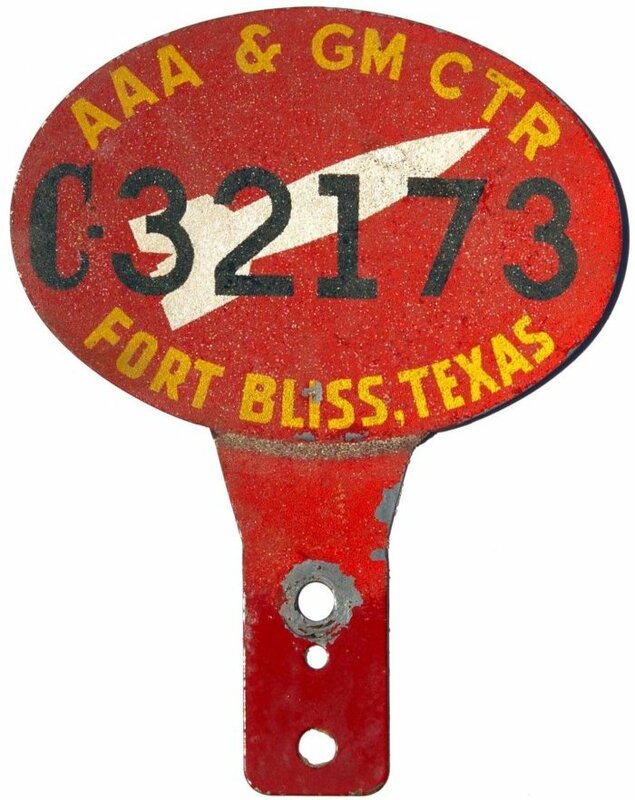 Note: While the headquarters of the Ft. Bliss Anti-Aircraft Artillery and Guided Missile Center is in Texas, its missile firing range and most of its land area lies in New Mexico, so a tag from that base is included here as well. Photo Credits: Sandia Base, Carlsbad Army Air Field and Clovis Army Air Base courtesy Tom Allen. Roswell Army Air Field courtesy Walker Aviation Museum. 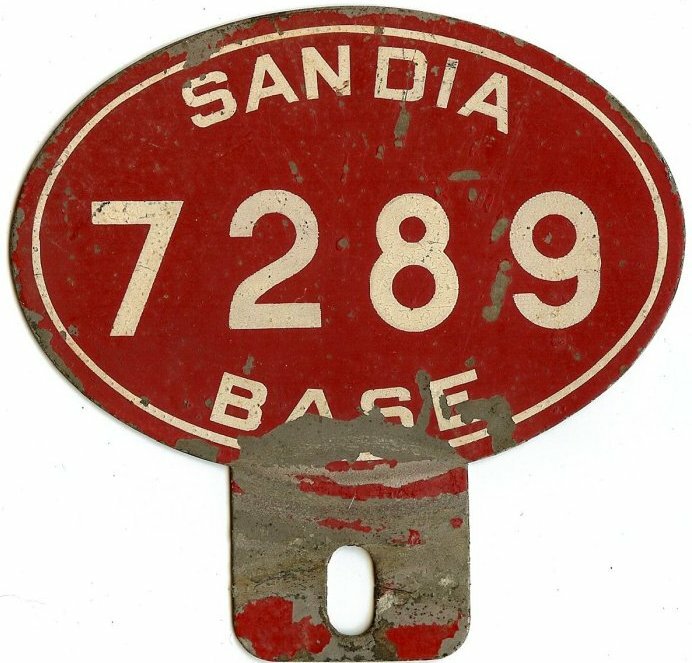 White Sands Proving Ground courtesy White Sands Missile Range Museum. All others by Bill Johnston.